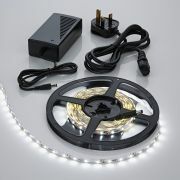 Light up display units, under cabinets, shelving and staircases with this indoor LED plug and play strip light kit. 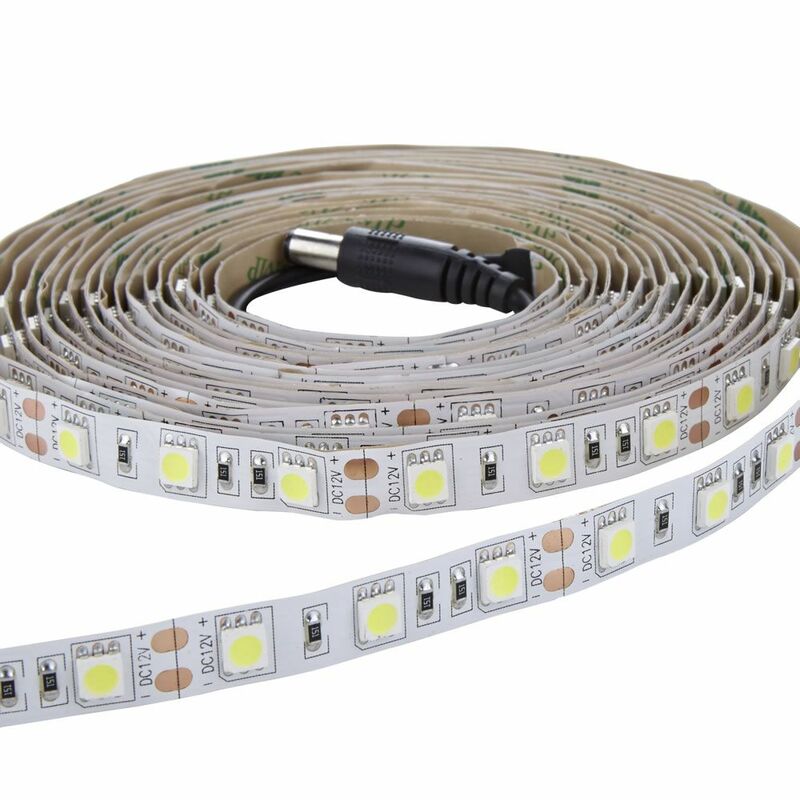 Providing a total of 300 LEDs on a 5 metre strip, 1020 lumens per metre. 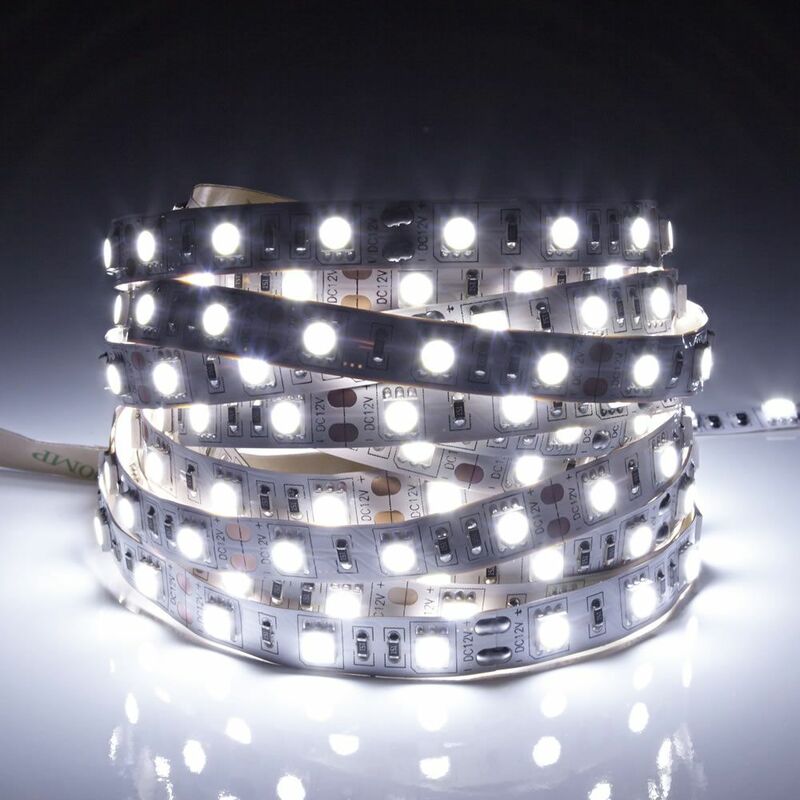 These 5050 LEDs have a cool white colour temperature to produce a clean bright white light output. 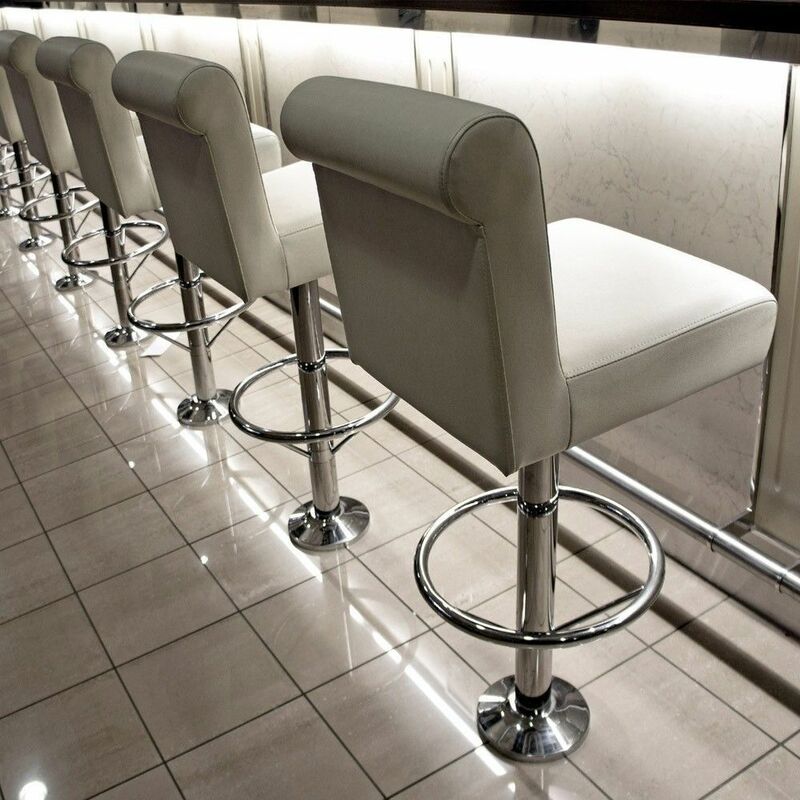 Ideal for task lighting in kitchens and around the home or commercial space. Male and female jack plugs fitted to the strip lights. 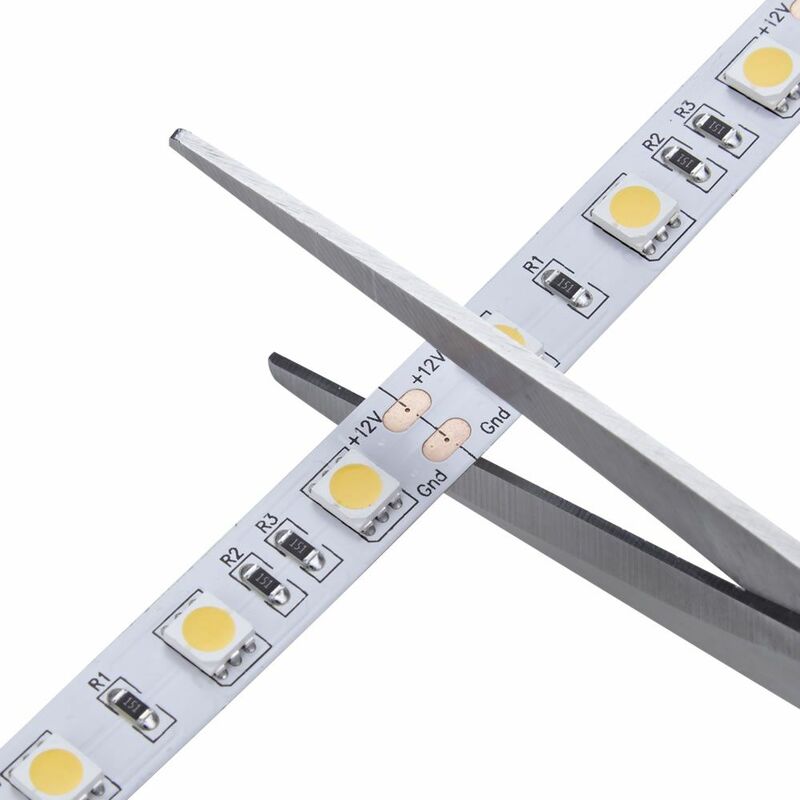 Easily cut the strip light to size with scissors at the copper solder pads. 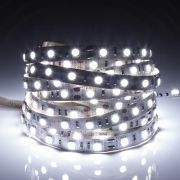 Or attach strips together with a choice of connectors. Remove the adhesive backing to stick the strip to any clean flat surface. 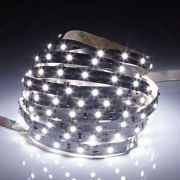 LED strip lights offer a fantastic lifespan and low running costs. 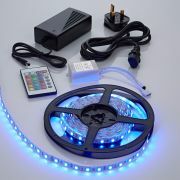 Always remove the LED strip light from the reel before use. Team with a dimmable remote to control the brightness. 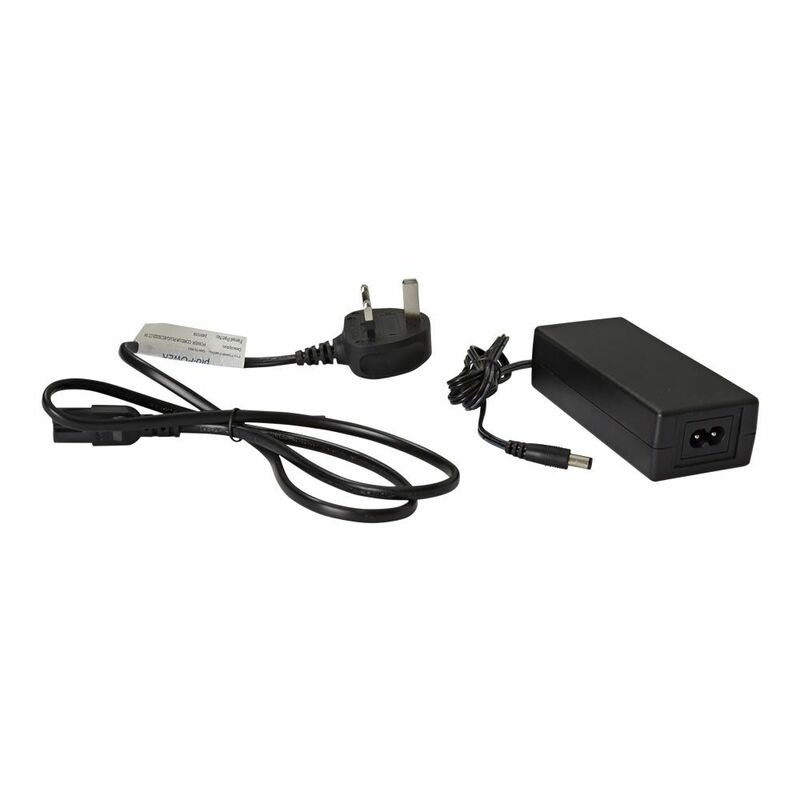 Power supply included.